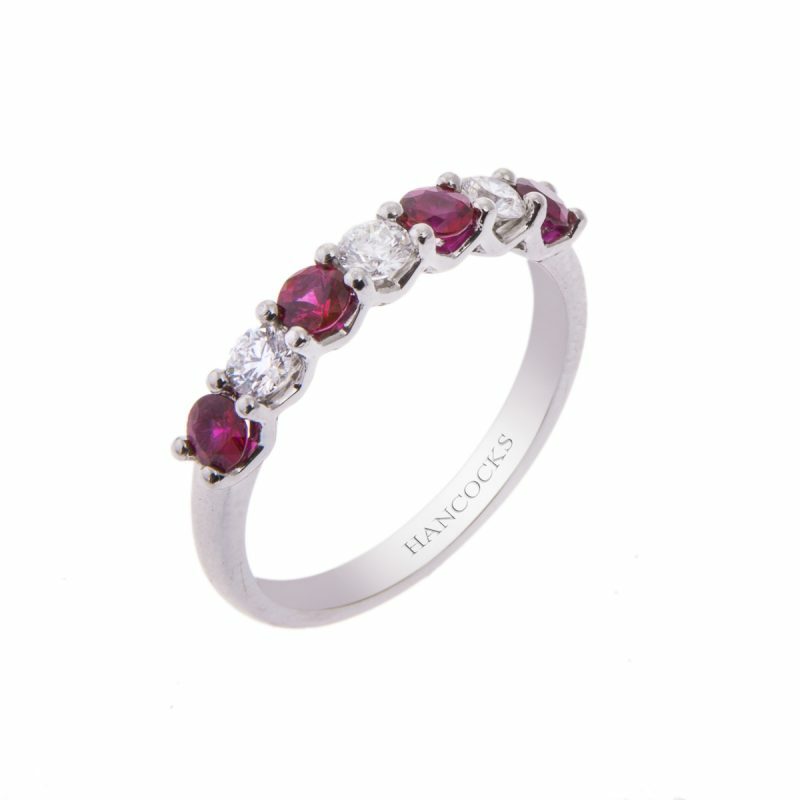 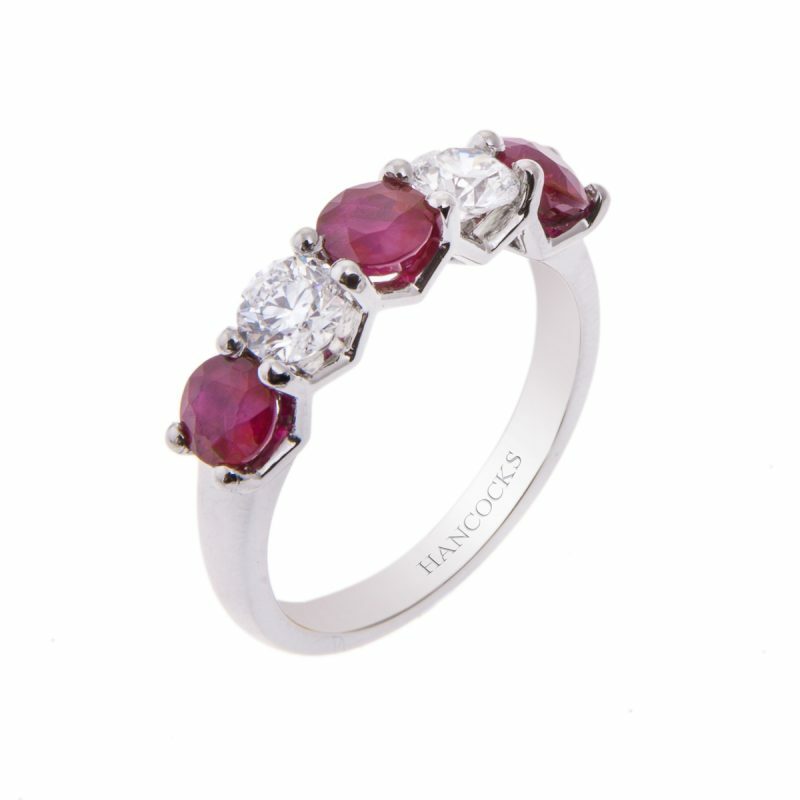 Enjoy a ring that is as beautiful as it is timeless with this stunning ruby and diamond half eternity ring. 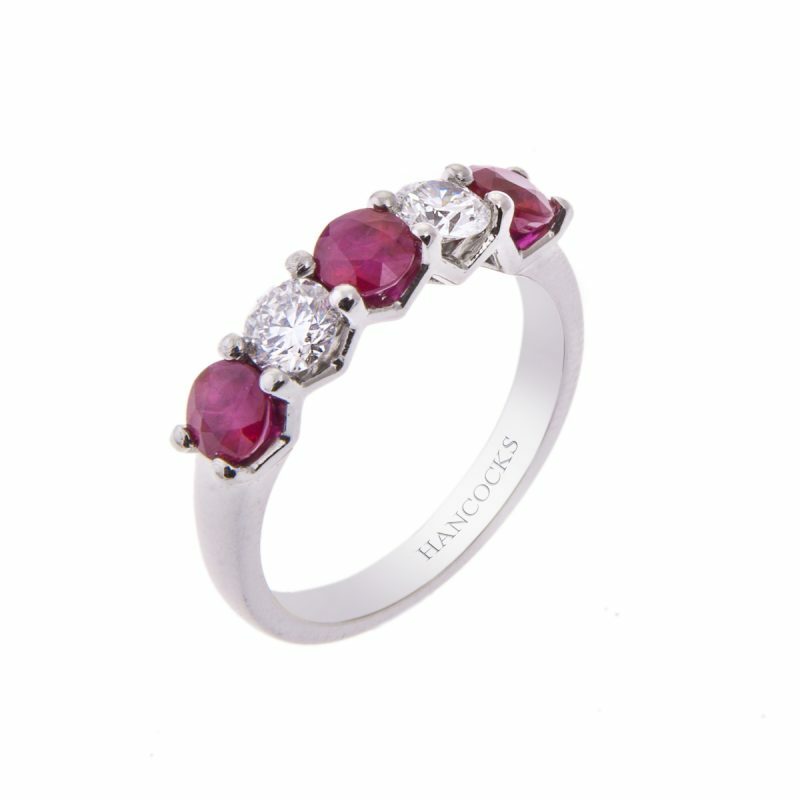 Set with 3 vibrant red round cut rubies contrasted by 2 sparkling brilliant cut diamonds, all held in a secure platinum strap setting. 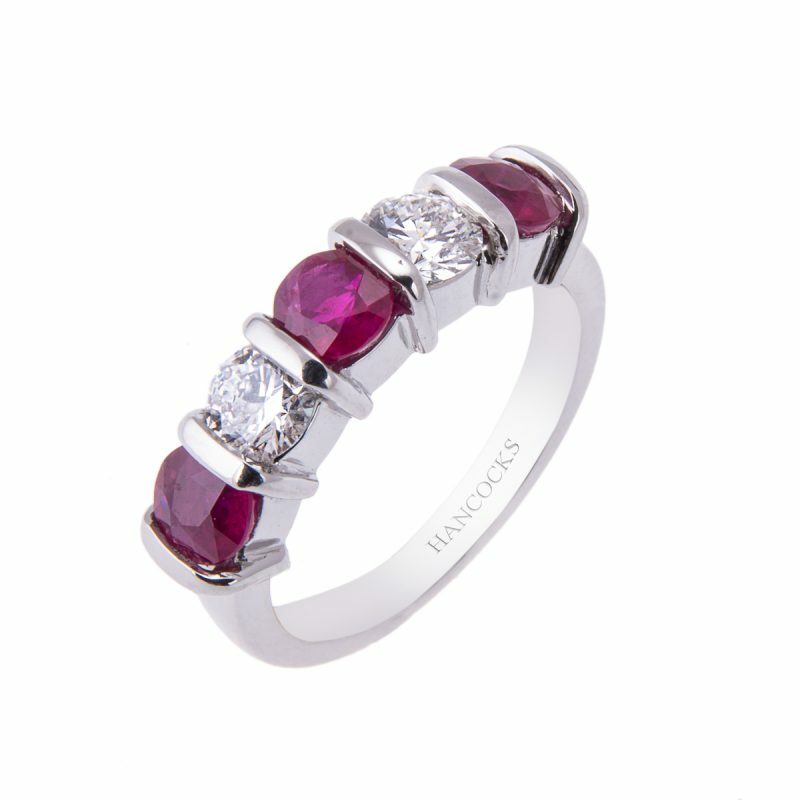 A special anniversary or the birth of a first child, celebrate those significant milestones in life’s journey with an eternity ring that epitomises your never ending love.